Every new user is a vital part of our community. By signing up, users can participate in our rewarding program and browse through features that can be accessed only with a registered account. To join our community go to the main landing and click on "Sign up" in the top right corner. You can sign up with your Facebook account. Make sure that you are logged into your account. Click on "Sign up with Facebook" and proceed. In the next step, you'll have to enter your name and surname and confirm your email address. Signing up through your Google account is similar to Facebook. Make sure you are logged into the google account and click on "Sign up with Google". Confirm and proceed with the signup. Enter your name and surname and confirm your email address. If you have chosen the third option you need to enter your name and email address and select your password. Once you have entered the required information you can proceed. The following steps are the same, regardless of the sign-up method. Please note that the sign-up option you choose will be the method you'll use to log-in. Keep in mind that we can't change your login method or your email address for your Viberate account. In the next step, you'll have to choose the country and the city you are from. When that is done, click next. You'll be presented with some genres. Choose your favorites. You can pick more than one. The next step is very important. You need to enter your phone number without leaving any blank spaces and without the country code. Make sure that you select the correct prefix code for your country. Once that is done, click on "Send SMS". In the last step, you'll need to enter the code that was sent to your mobile and click on "Sign up". After that, all you have to do is click on the confirmation link which we sent to your email. 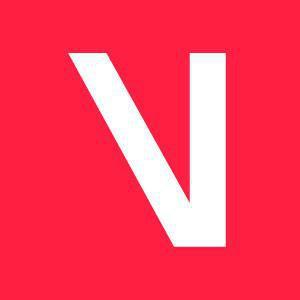 If you are having problems registering to our platform, please contact support@viberate.com.